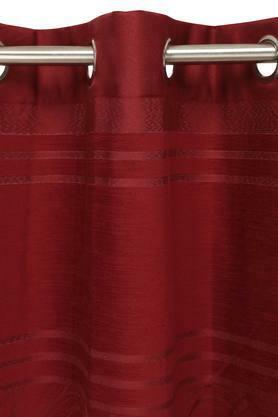 Add a dash of grandeur to your living space with this door curtain, which features a beautiful design. 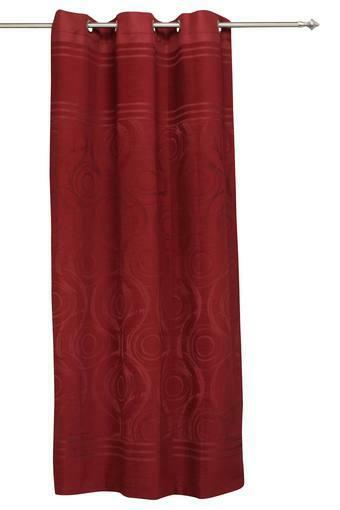 It flaunts a self print pattern, which gives it a fashionable look. Tailored using fine quality fabric, it is also quite easy to maintain. Dimension: 215 x 130 cms. Sachik brings to you this door curtain, which will be a perfect pick for you.